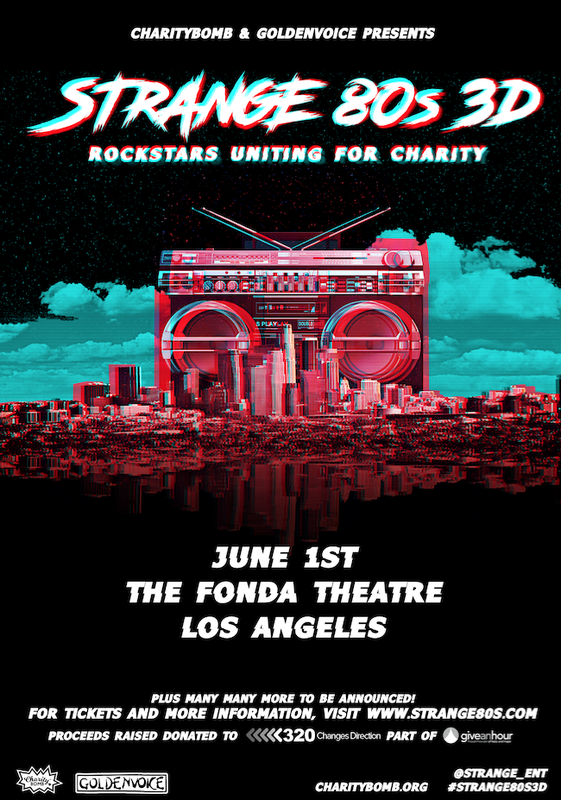 Charity Bomb is proud to announce Strange 80s 3D, the third annual benefit concert set to take place on June 1 at The Fonda Theatre. Tickets are on sale April 19 at 10 a.m. PT: bit.ly/Strange80s3D. All proceeds will go to Talinda Bennington's mental health initiative "320 Changes Direction," serving those who suffer from mental health, depression and addiction issues. For more information, please visit: strange80s.com. Confirmed performers include: Lauren Mayberry & Mark Doherty of CHVRCHES, Adrian Young of No Doubt, Scott Shriner of Weezer, Jesse Hughes of Eagles of Death Metal, Pierre Bouvier of Simple Plan, Stephen Perkins of Jane's Addiction, Carmen Vandenburg & Rosie Jones of Bones UK, Dave Kushner of Velvet Revolver, Marko Desantis of Sugarcult, Keith & Michael Jeffre of Atlas Genius, Fabrizio Grassi Main of Supersonic Blues Machine, and more will cover the anthems of the 80s in a real-life recreation of the decade. The first 150 tickets sold will receive a limited-edition silkscreen event poster. "Music can play an important role for those who are hurting emotionally - it can soothe, heal, and inspire hope. 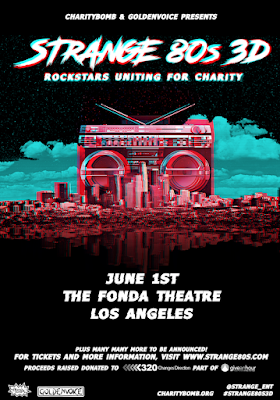 Give an Hour, through our public health initiative, the Campaign to Change Direction, is excited - and grateful - to partner once again with Charity Bomb for Strange 80s - a wildly fun concert that will definitely be good for everyone's emotional well-being." Dr. Barbara Van Dahlen, Founder and President of Give an Hour, said. "Through 320 Changes Direction, our special partnership with Talinda Bennington, we are working to reach those who are struggling - so that they know they aren't alone. We want everyone to come out on June 1st, 2019 for the concert - to raise awareness and funds for the work we are doing to change the culture of mental health. With Charity Bomb running the show, we know it will be great fun and a huge success." For a complete up-to-date list of artists performing, please visit strange80s.com. Los Angeles native, professional musician & acclaimed songwriter, Nik Frost, suffered from addiction. When drugs came dangerously close to claiming his life, it was fellow musicians, Dave Kushner & Brian O'conner (Velvet Revolver & Eagles of Death Metal respectively) who intervened and came to his rescue. 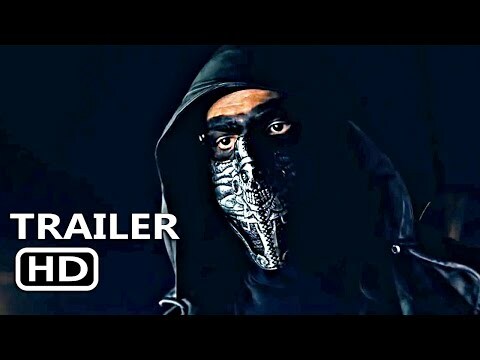 Nik worked with Matthew on several projects, all a pre-destination to Charity Bomb.We are a non-profit, fundraising and awareness agent for any benevolent cause that enters our ether.